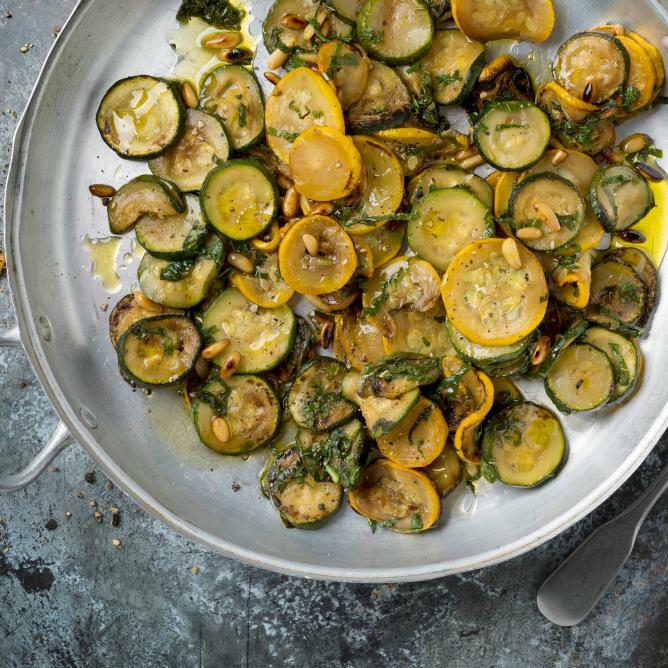 Heat the oil in a frying pan and pan-fry the courgettes for approx. 10 mins., stirring occasionally. Add the remaining ingredients, continue to cook for approx. 5 mins.